17 Cutest lemurs from the brand-new film Island of Lemurs: Madagascar! To celebrate the brand-new IMAX 3D film Island of Lemurs: Madagascar, we’ve put together a gallery of the 17 cutest lemurs you can expect to see in the mini-movie! 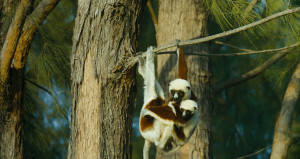 Narrated by top Hollywood actor Morgan Freeman, Island of Lemurs: Madagascar looks at the incredible true story of the lemurs on the African island and is being released exclusively in IMAX 3D at select IMAX cinemas nationwide from today! Lemurs arrived in Madagascar as castaways millions of years ago and evolved into hundreds of diverse species but are now highly endangered. Island of Lemurs: Madagascar is being released exclusively in IMAX 3D at select IMAX cinemas nationwide today.